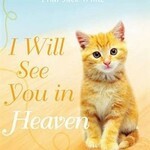 / - I WILL SEE YOU IN HEAVEN: CAT LOVER’S EDITION! 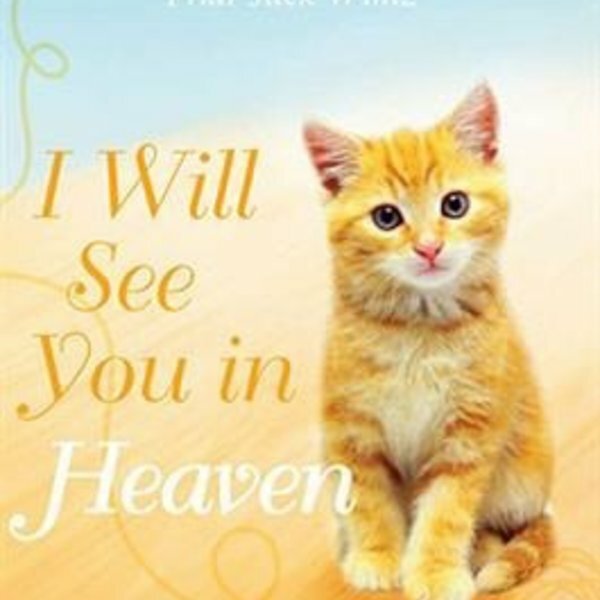 - I WILL SEE YOU IN HEAVEN: CAT LOVER’S EDITION! 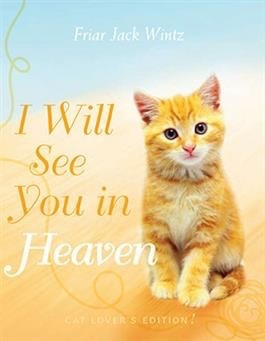 Yes, you will see your cat again—in heaven! This beautiful book is the next in the series of bestselling (7 printings) books from Friar Jack Wintz and Paraclete Press that explain how the Bible and Christian tradition promise that all of creation—even our beloved animals - in heaven with us. Complete with space for presenting the book to a friend who has lost, or may soon lose, a beloved cat; prayers and blessings for all pets; and plenty of hope and inspiration, Friar Jack says unequivocally: All creatures form one family of creation. And the more we see the implications of our belief in the resurrection of Jesus Christ, and accept the biblical vision of God's inclusive love, the clearer we are able to say of our beloved animal companions who have died: We will see you in heaven! Special note: A portion of proceeds from sales of this book will fund the efforts of The Scratching Post, a registered 501(c)(3) non-profit, no-kill shelter that rescues cats in the inner-city neighborhood of Cincinnati, Ohio known as Over-the-Rhine, where Friar Jack lives and works.